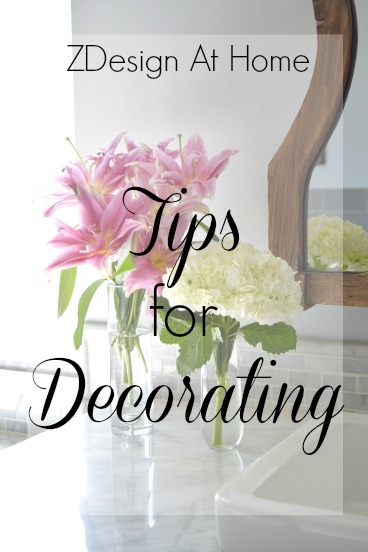 One of my favorite pastimes has always been styling beautiful spaces. Whether it’s a whole room or a small vignette, it is something I have always been passionate about to make our home a more beautiful place to live. For this post I had the opportunity to partner with one of my absolute favorite brands, Williams Sonoma and will be sharing my best tips for styling your nightstand to include what you should have on it and how each component can enhance your bedtime and wake up routines. 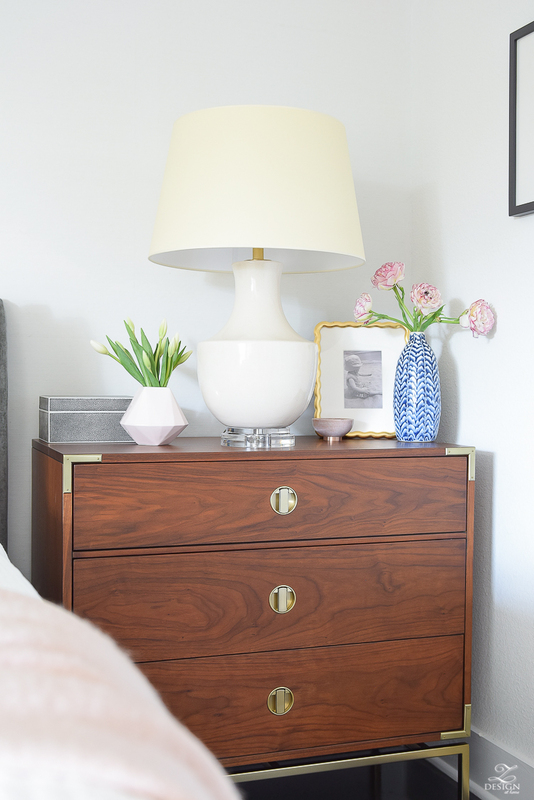 Today I will also be discussing The Key Rewards and how it has helped me to make my nightstands an even more beautiful and functional spot in my home. While Williams Sonoma is sponsoring this post all opinions are completely my own. Read my full disclosure policy here. If I’ve peaked your interest about what The Key Rewards is let me first answer that question and how it can benefit you too. I love that when I shop with some of my favorite brands such as Pottery Barn, West Elm, Williams Sonoma Home, and Rejuvenation (along with most of the other Williams Sonoma brands) as a member of The Key Rewards I can earn 3% back in rewards when shopping across their family of brands. After enrolling, which is free, all I have to do is provide my phone number at checkout (in store, on line, or over the phone with customer care) regardless of which brand I’m shopping with under the Williams Sonoma umbrella and my rewards accumulate with each purchase. For a little while now I’ve used The Key Rewards program and when I earn $15 or more in rewards, a rewards certificate is emailed to me and is also made available in my Key Rewards Dashboard. 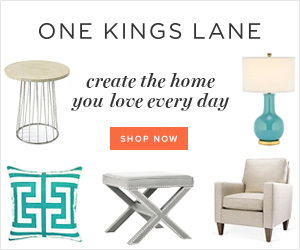 It is so fun to receive this happy mail in my inbox every so often and the best part is that it gives me an excuse to shop for the home decor items I already love to use for styling my nightstands and other areas of my home. Your nightstand is probably one of the last things you see at night and the first thing you see in the morning when you wake up and for that reason it should not only be beautiful but it should be functional as well. 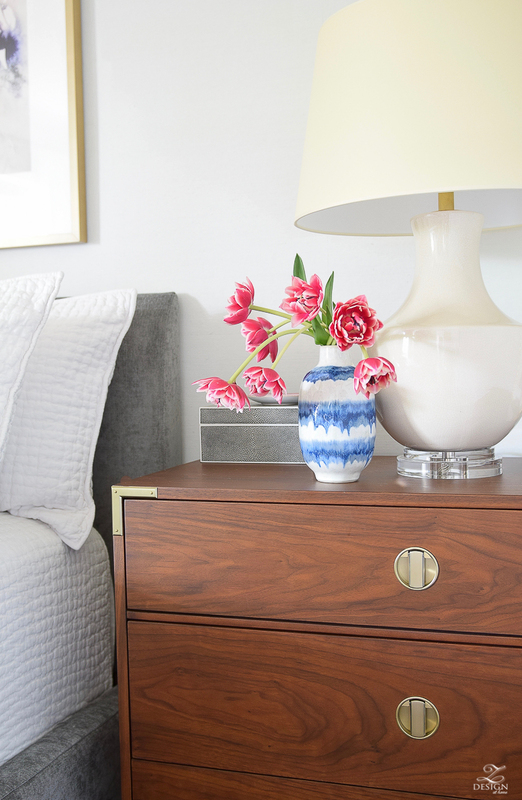 Here are 9 easy tips for keeping your nightstands in tip top shape! 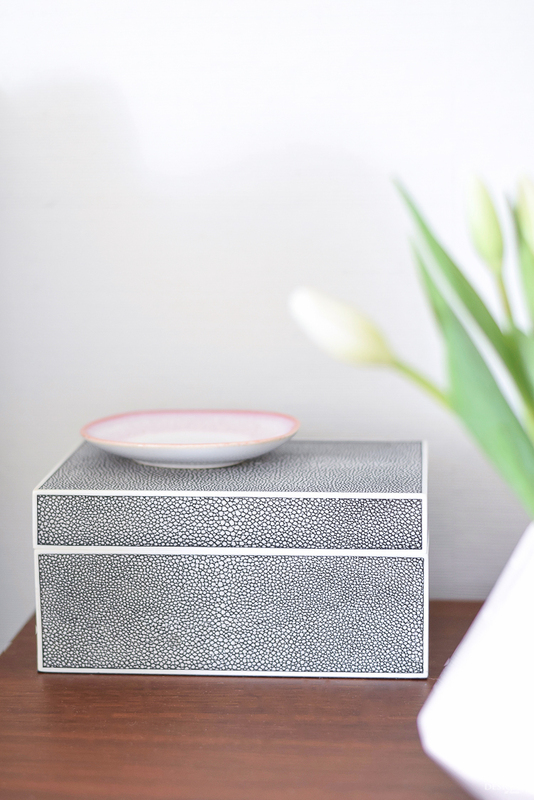 A pretty, little, decorative box like this shagreen box in charcoal from West Elm might just be one of the most functional items on your bedside table. It can be used to corral items such as hand cream, chap stick and other bed side essentials giving them a place to call home so they aren’t cluttering up your nightstand and creating chaos next to your bed. Waking up to an organized space always makes for a good start to the day and can help you to put your best foot forward. It goes without saying that lighting is of the utmost importance on the nightstand. Of course a lamp is functional for reading and other tasks but it can also give your vignette some height, shape and scale. Choose one that is beautiful like this tea stain beauty with an acrylic base from Williams Sonoma Home but that also provides the appropriate amount of light for your space. Having a secure place to store earrings or rings when you jump into bed at night is key to keeping these items corralled and from getting displaced. Any small dish, bowl or even a small, decorative plate can be used. This is also a great opportunity to add a pop of your favorite color to your nightstand. 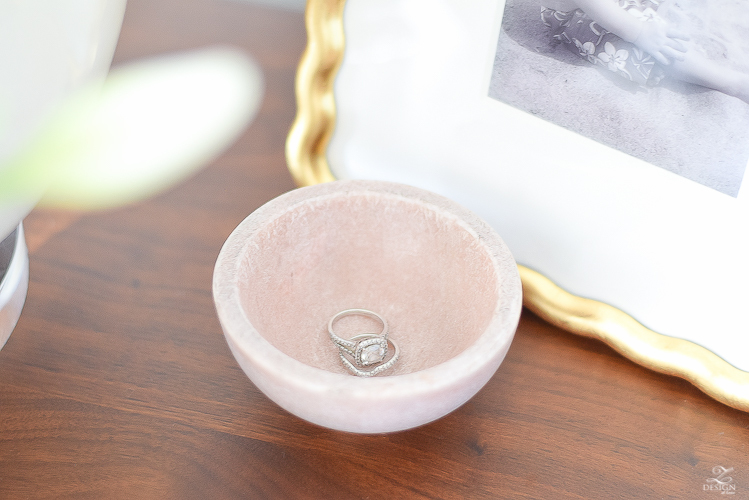 Here I used this marble & copper dip bowl from West Elm for my trinket dish…it works great to hold my rings at night since I take them off last thing before I go to bed. Having a frame by your bed to hold a photo of that special person, place, or thing is the perfect view to wake up to in the morning. 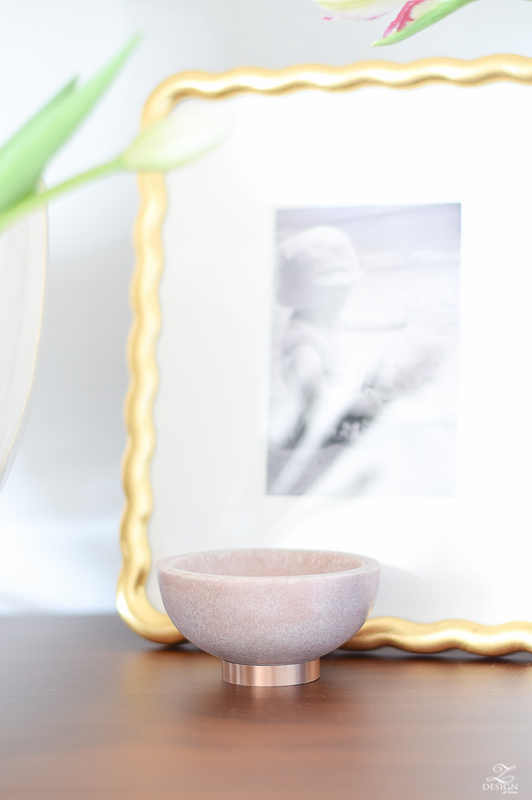 I always have this photo of my son on his first trip to the beach next to my side of the bed and, this beautiful Aerin scalloped frame from Williams Sonoma Home makes his photo even more special. Both just make me happy and put a smile on my face morning and night! 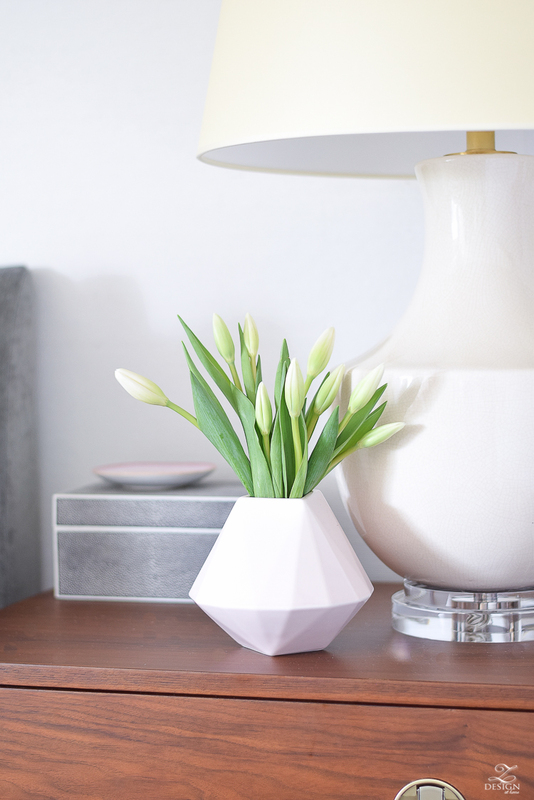 There is nothing better to wake up to than fresh (or faux) flowers! A vase IS an accessory and flowers provide a beautiful scent, a pop of color, most of the time texture, and lastly a smile on your face. I always keep a little something in pink or white on my side of the bed plus a nice bundle of greenery next to my husband’s side of the bed and it makes our room feel fresh and polished am & pm. 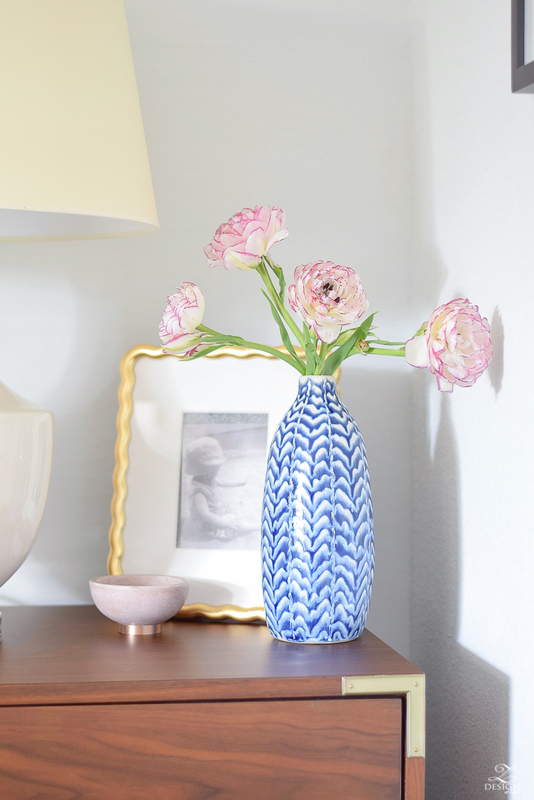 Both the blue herringbone vase and the soft pink faceted vase were great here to add a pop of my currently favorite color combo to my nightstand. 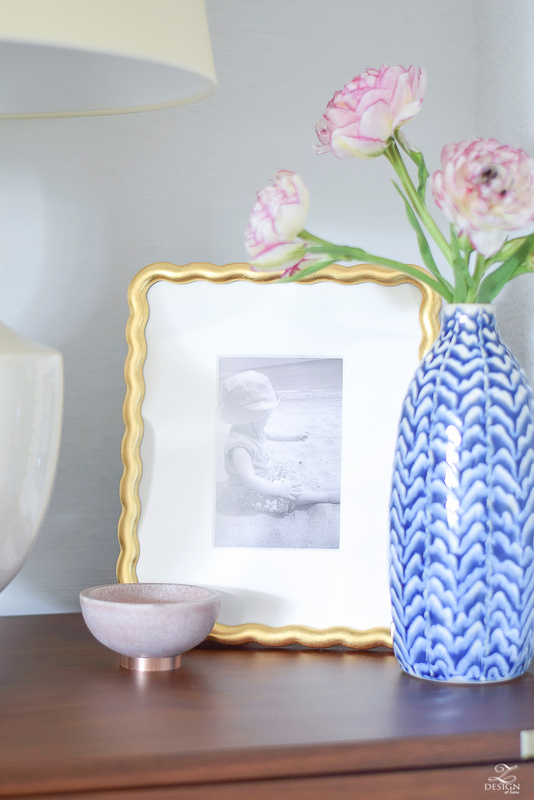 The color and shape of my vases also adds interest to my vignette. 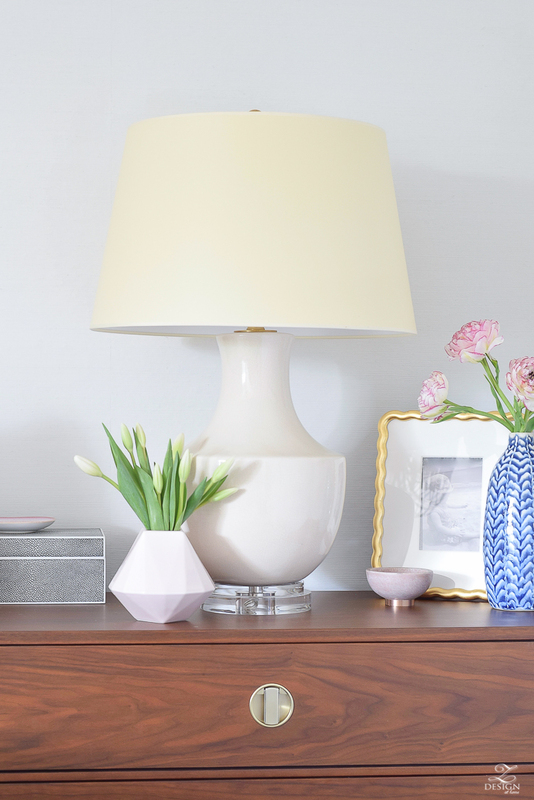 When styling your nightstands always group items by odd numbers…3, 5, 7, etc., but here less is always more so keep it clean and minimal so that your nightstands don’t get cluttered. Always use items to style with that vary in height and material. This allows your eye to bounce around the vignette and makes it more interesting by creating depth and scale. This step should be easy to attain by incorporating some of the items I’ve shared above. If you have a small amount of space between the side of the bed and the wall then use a nightstand or bedside table appropriately sized for that space but if you have a larger amount of space then try and fill it up with a large piece so that your nightstands don’t feel out of scale with the bed, especially if you have a queen or king size bed. Sometimes even using a small dresser like I’ve used here, the Malone Campaign 3-drawer dresser from West Elm, can be the best fit for your space. 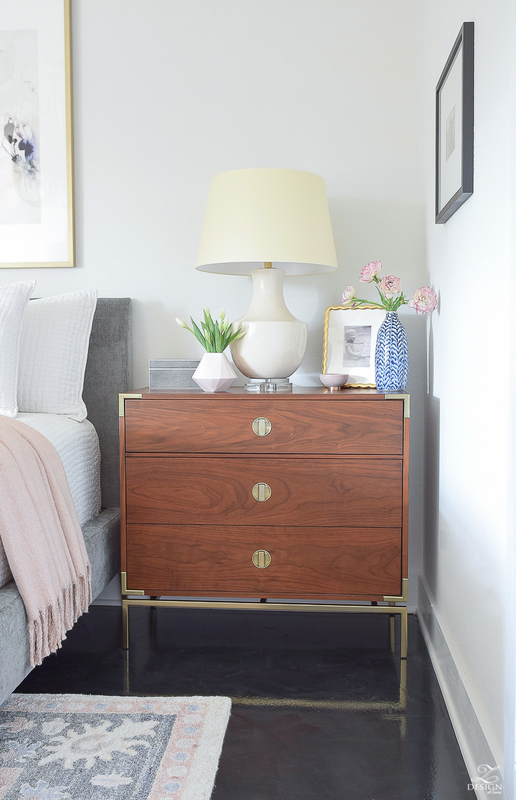 A larger nightstand will provide more storage plus feel more in scale with a bigger bed. 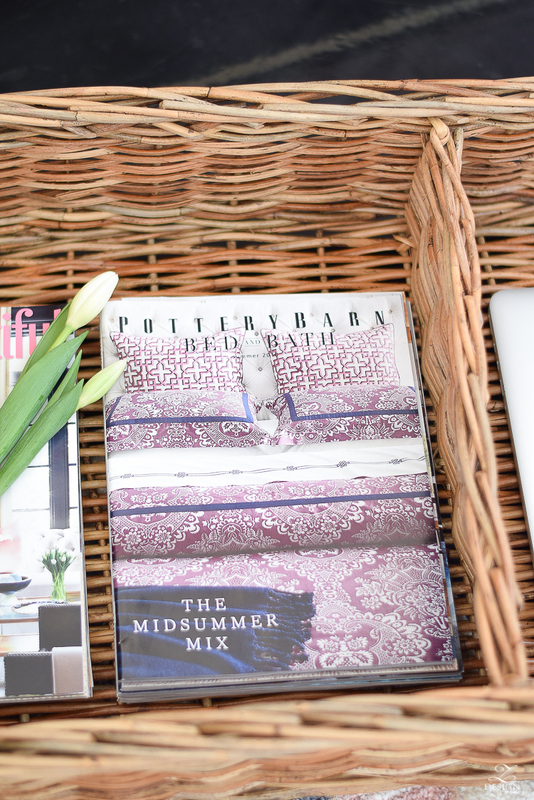 Another thing that helps me to keep my bedside tables organized and pretty is having a large basket like the Caden Square divided basket form Pottery Barn under my side of the bed that I can easily slide in and out for additional storage. 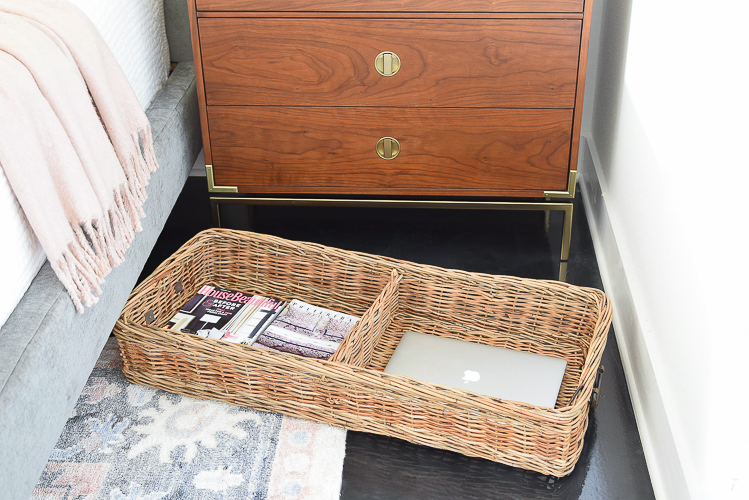 This is a great place to keep magazines or books that you want to get around to reading or even your laptop to get it out of site when not in use. 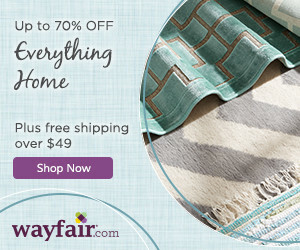 I hope you will explore The Key Rewards here, get signed up, and start earning rewards when you shop the Williams Sonoma family of brands. This is a program that I have been using for about a year now, have seen real benefits from it and I know you will too! Thanks for stopping by and please don’t forget to subscribe to our newsletter here to receive weekly updates from the blog! Bree I always wondered what the Key Rewards program was – definitely sounds like something I should get in on! 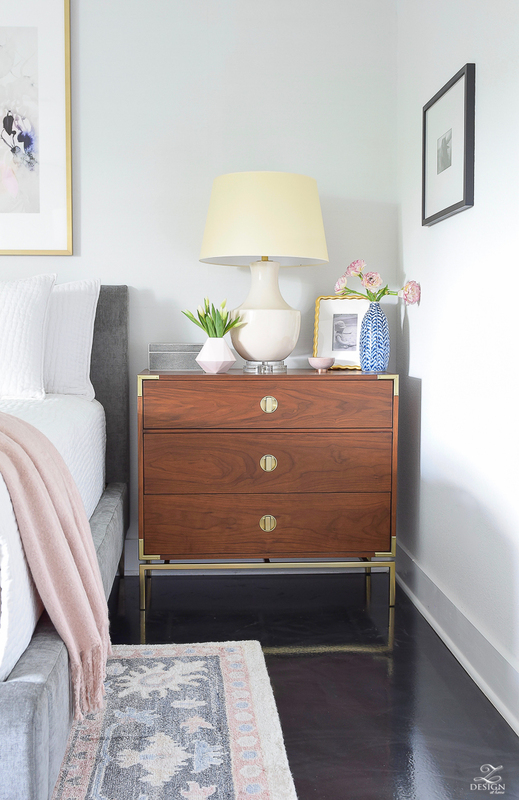 Your nightstand is perfection – love all of your WSH finds so much and appreciate the tips! Love this so much! I always have trouble with night stands so I loved reading this! I absolutely love all of your tips! You always have great ones and this is styled to perfection! Thank you for letting us know about the rewards program! Sounds fabulous! Bree I absolutely love the Key Rewards program! Such a fan of all Williams Sonoma stores! 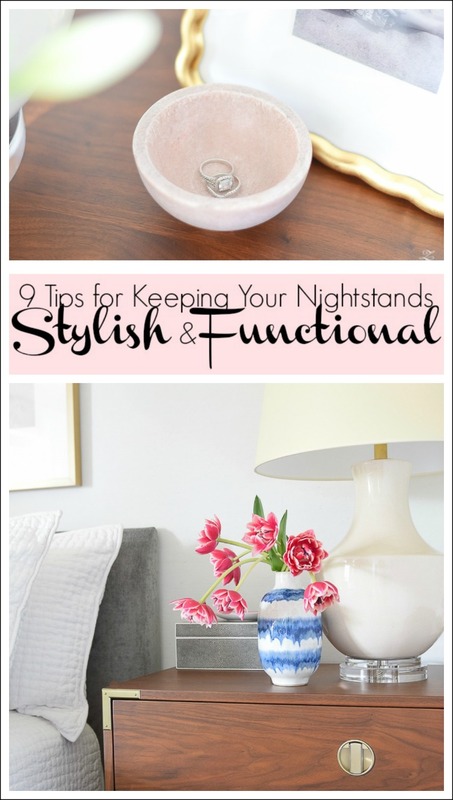 And I seriously LOVE your nightstand tips! You’ve inspired me to give mine a little makeover. ❤️ Such a fun post! 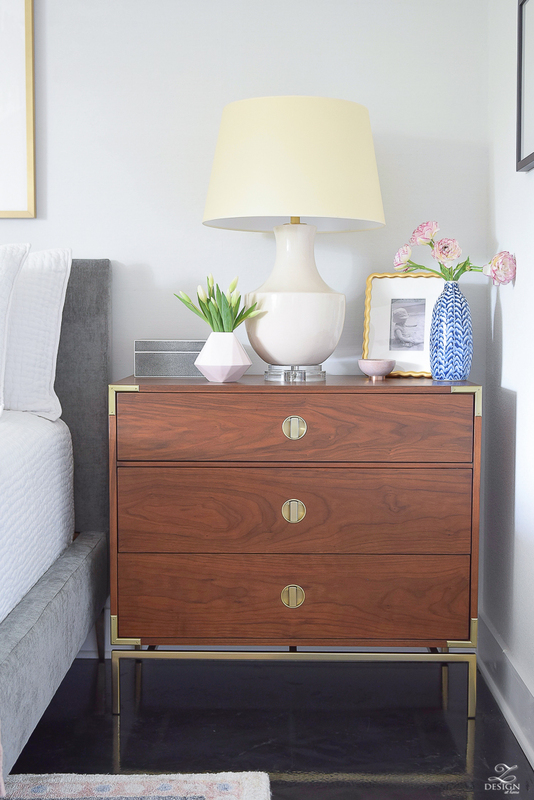 Bree, your nightstands are styled perfectly! I have that little B&W box and love it- I think I am signed up for The Key but never really understood what it was (now I feel silly); thank you for breaking it down. I don’t think I’ve taken advantage of it but obviously need to! Hey Bree, I first want to complement your styling, really pretty and fresh! But, I also am reaching out to see if you have a contact person within William Sonoma. I have had many problems with the Key Rewards and am attempting to get it resolved. No one is calling me back! Do you have any ideas? Thanks in advance! Love your style! Clean and uncluttered. On this nightstand post, I saved your ring I the pink holder. Your ring style is so unique. Thank you, RM! I’m glad you liked the post and I appreciate your feedback. 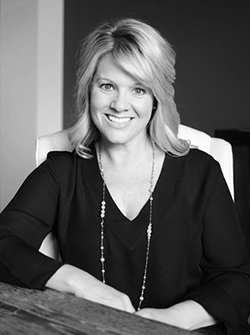 Thanks for stopping in to the blog!